This has been one heck of a week for animation lovers. Within a matter of days, eagerly anticipated trailers for the Wreck It Ralph and The Lego Movie sequels have arrived, alongside the full trailer for Spider-Man: Into The Spider-Verse. Quite possibly most eagerly awaited trailer of all, however, is the first trailer for How To Train Your Dragon: The Hidden World. And now, the wait is over at last. After years of radio silence, we've recently started to get our first look at Dean DeBlois' trilogy-closer, including a poster and stills. Ahead of next week's first public screening of footage from the film at Annecy, the first trailer is finally here, too. If you were expecting a teaser trailer that would keep many of the film's secrets under wraps.. this definitely isn't that. 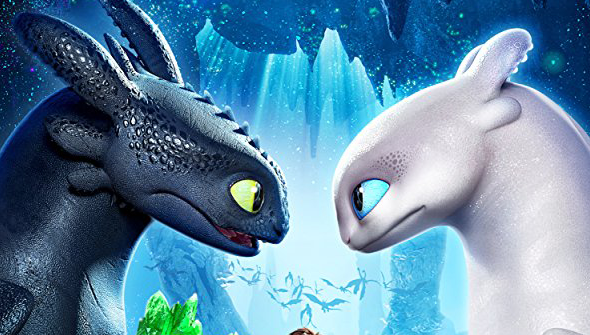 This trailer covers an awful lot of ground- catching up with the villagers of Berk and their dragons, introduces us to the hidden dragon world of the title and introducing us to Toothless' love interest, The Light Fury.. and that's just in the first minute or so. The trailer is chock full of gorgeous animation, stunning new locations, and lots of moments that remind you just what makes this one of the most beloved franchises in animation. It's being described as the "Epic Conclusion" to the series, and it looks like it will more than live up to that billing. But with the opening voiceover featuring Hiccup saying "There were dragons when I was a boy...", there's also a bittersweet feel to proceedings. Be prepared: this is going to be quite the emotional ride. And if you're not sold on the idea of Toothless having a girlfriend, his adorable mating dance (and the prospect of Dragon Babies) should go some way to winning you over. The film is written and directed by Dean DeBlois, and will feature the voices of Jay Baruchel, America Ferrara, Cate Blanchett, Djimon Hounsou, F Murray Abraham and more. 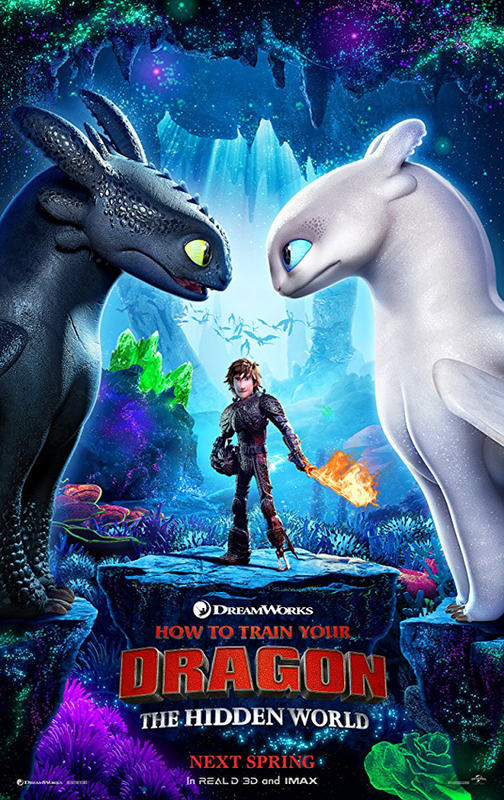 How To Train Your Dragon: The Hidden World is due to swoop into cinemas in the UK on February 1, 2019 with the United States following on March 1.